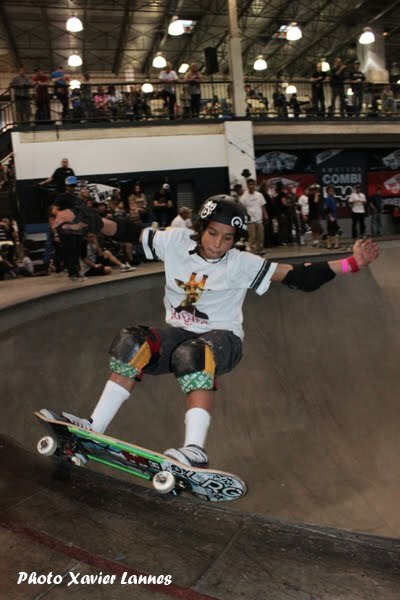 Like last year, the World Cup Skateboarding was in charge of organizing the stuff and their goal was to feature the top bowl skaters in each age division! There were two divisions: under 16 and over 16. Skaters more that 18 years old were not authorized to ride. Last year, it was very difficult to beat Chris Russell, the #1 WCS ranked Am for 2010, and Alex Sorgente, was last year’s winner. 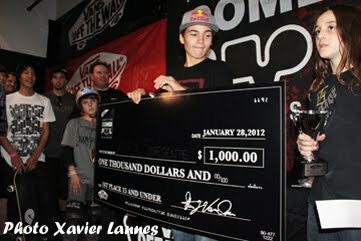 Alex Sorgente stay on top of the game all day, eventually finished #1 and added another 1st place win in the Under 16 Division to his already impressive résumé and received a $1,000 prize purse. Sorgente has been shredding copings everywhere for the last two years racking up one incredible performance after another. 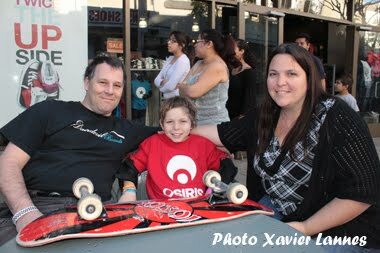 Let’s not forget his 15 consecutive frontside boneless ones at the X-Games 16 that brought him a well deserved spot in the Guinness World Record books (read Alex Sorgente interview with isTia.Tv). 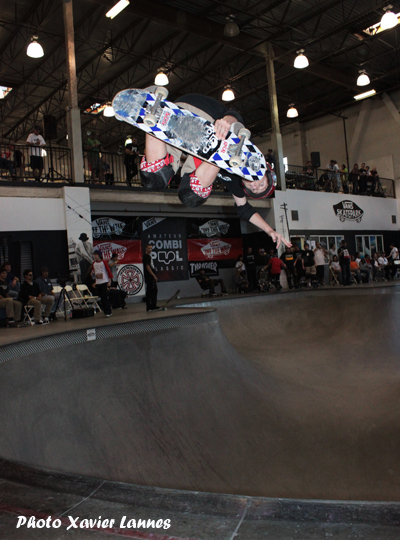 Cory Juneau is a helluva skaters and is doing aerials that nobody but Austin Poynter (over 16) can beat, however he landed second. 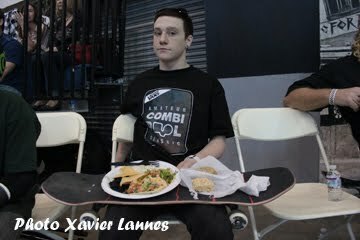 His half cabs and flawless runs earned him a cool $600. 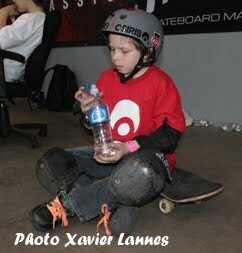 Tristan Rennie arrived 11th last year and 3rd this year. When I talked with Bill, his father, I told him that I was seeing Tristan in the top three, he answered that fourth or fifth would be more realistic... See Bill, told you... Tristan is coming from Salbaland (previously known as the Badland) and has ripped all day. Rennie is well on his way to being a technical master. He really knows how to rock and roll. 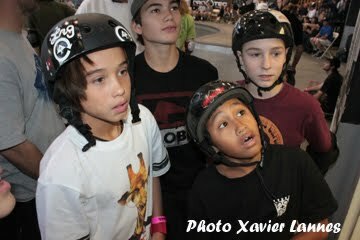 Trey Wood's BS Air garnered him $100 and a 5th place win. Morgan Wolf is also one of the kids that should have been in the top three. His runs were powerfull and precise. Unfortunately, there are only 3 skaters in the top three. He seemed happy with a fourth place anyway and he seems happy all the time anyway. Seeing Morgan skating is like being in paradise. Trey Wood got 5. One of the surprises of the day is the 6th place of Heimana Reynolds. He landed #9 last year, but after he won so many contests this year and especially the Tim Brauch memorial, he was on everybody’s watch list (at least on mine). 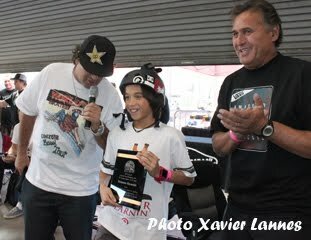 Heimana Reynolds is also the #1 WCS bowl champ for 2011, his skating his awesome, but I guess the judges awarded more points for the fith guys before him. He will go back to Hawaii with a bag full of souvenirs anyway... Clay Kreiner landed 7th despite his stellar vert performances at several events last year. 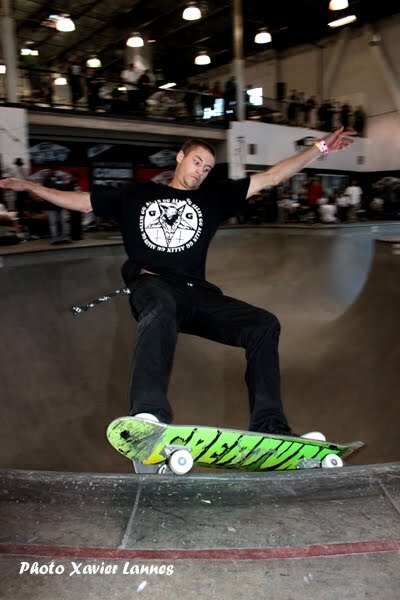 In 2011, he took 4th at the Tampa Am, 1st at the Gatorade Free Flow Competition, 3rd at the Damn Am Woodward West and 2nd at the Am Combi Pool Party. 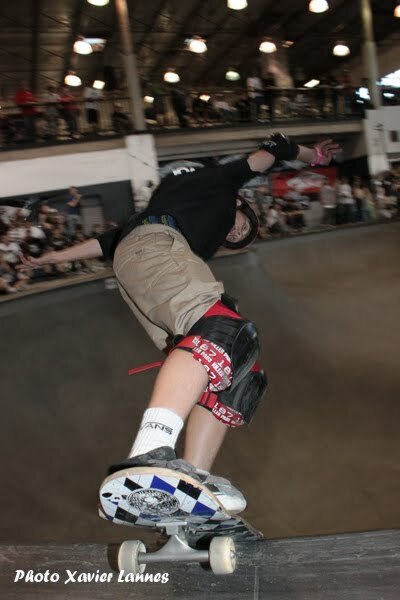 The regular footed am's frontside airs are spectacular. Beyond that, basically all of last year’s top ten did great (Clay Kreiner, Cory Juneau, Archer Braun, Morgan Wolf, Kaden Campbell and Max Jenson). 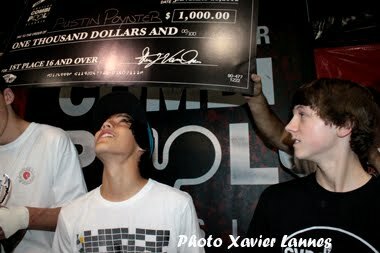 The winner of the over 16 is Austin Poynter, same a s last year. Austin Poynter is incredibly consistent in his runs, he makes skateboard look like it’s a walk in the park. The same can be said of Al Brunelle (#2), Austin Gordon (#3), Cason Kirk (#4) and Aidan Dansey (#5). I don’t want to belittle the over 16 who did a great job however, the under 15 literally stole the show. Those kids have so much energy and power that it’s totally insane. Chris and Patricia, Evan Doherty's parents. We sat outside Vans and talked for a good 20mn. Chris built himself the huge ramp that you see in all of Evan's videos. That's a work that even Titan himself would not have done. now, that's my kind of parents... Kudos and congrat for lil' Big E.